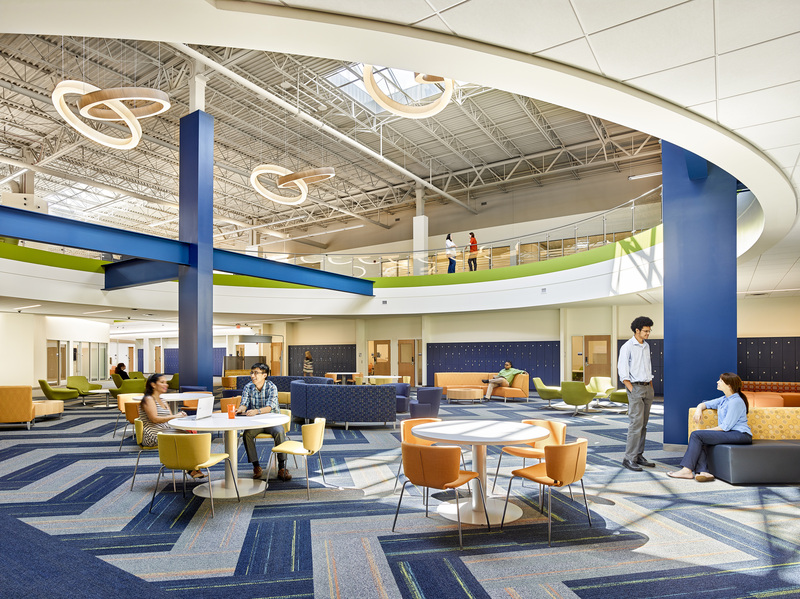 Barton Education provided mechanical, electrical, plumbing, architectural lighting and fire protection design and commissioning services to convert a former warehouse and headquarters office building previously occupied by Bosch into a new campus featuring two buildings linked by a glass corridor. 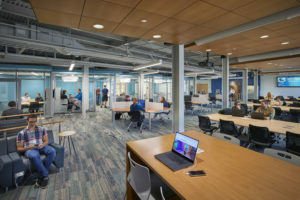 The project transformed the 146,000 square-foot warehouse with 35-foot high walls into a two-story, 264,000 square-foot state-of-the-art health sciences academic facility. 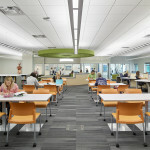 The facility includes a learning commons, café, large/medium classrooms, group study rooms, faculty office suites, a 2-story 25,000 square-foot core collaboration lounge, computer labs, multi-media production room, science laboratories (chemistry, microbiology, anatomy), clinical arts simulation lab suites, and a 400-seat 2-level auditorium. The simulations lab area features mock-up training spaces for respiratory therapy, ultrasound, an operating room, x-ray/nuclear medicine, triage/exam rooms, a home care apartment, skills labs, and a nurse’s station centered around six patient rooms. 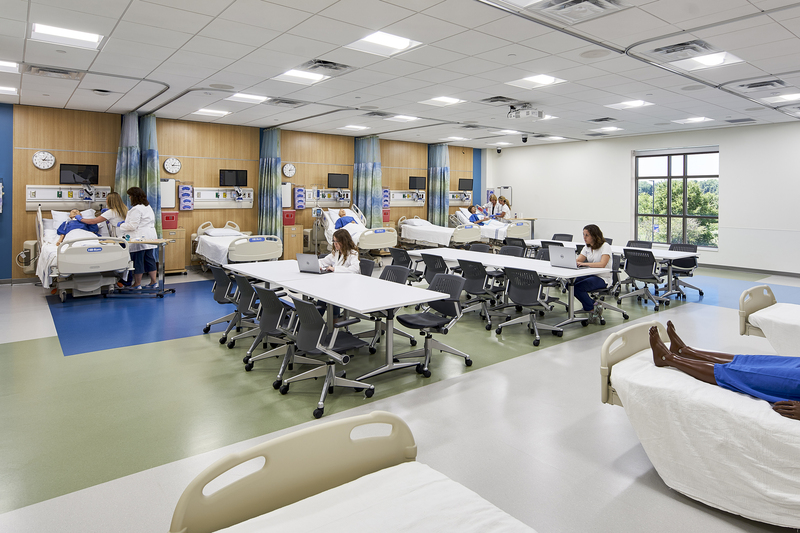 A clinical arts area was also designed to mimic a hospital atmosphere and includes technology to support patient simulation, and is provided with control rooms with one-way mirrors for discrete observation of student actions. 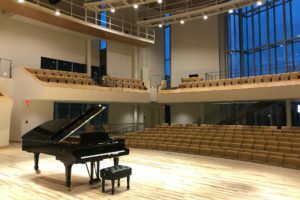 The HVAC systems included rooftop air handling equipment, central heating systems with gas-fired boilers, kitchen ventilation/exhaust systems, and building automation system controls. Medical air and vacuum units were designed to serve the simulation labs, and natural gas was distributed to the science labs. 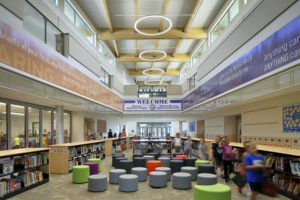 Design also included complete plumbing, indoor and outdoor lighting controls, fire protection and fire alarm systems as well as high-efficiency LED lighting fixtures were used throughout. 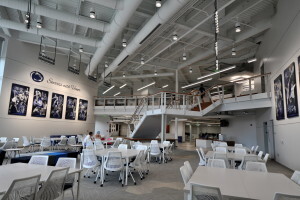 The two-story, 68,000-square-foot, class-A office building now is comprised of administrative offices, conference rooms, dean’s suite, boardroom, large multi-purpose event space, and an 11,000 square-foot of kitchen/servery/dining hall. 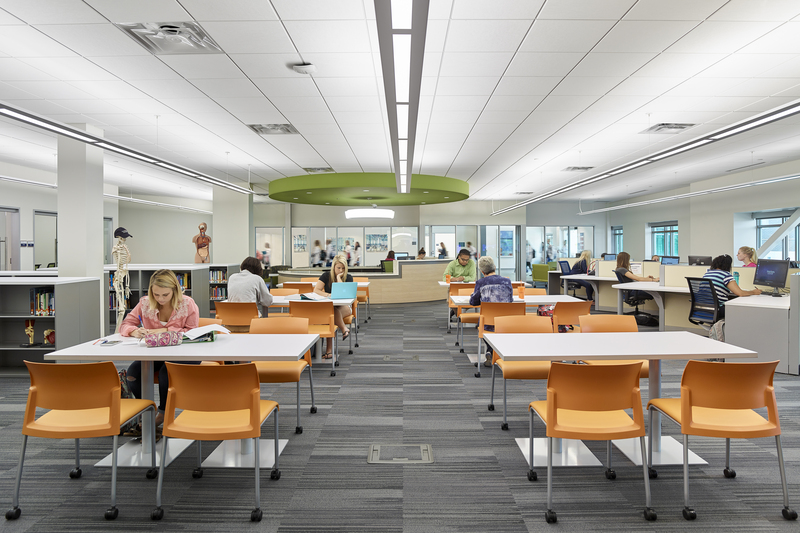 Barton Education provided commissioning services for the HVAC systems including 15 rooftop air handlers serving VAV systems throughout the project, four high-efficiency, condensing gas-fired boilers, kitchen ventilation/exhaust systems, and building automation system controls. Medical air and vacuum units were designed to serve the simulation labs, and natural gas was distributed to the science labs. Barton also commissioned the digital lighting control systems.